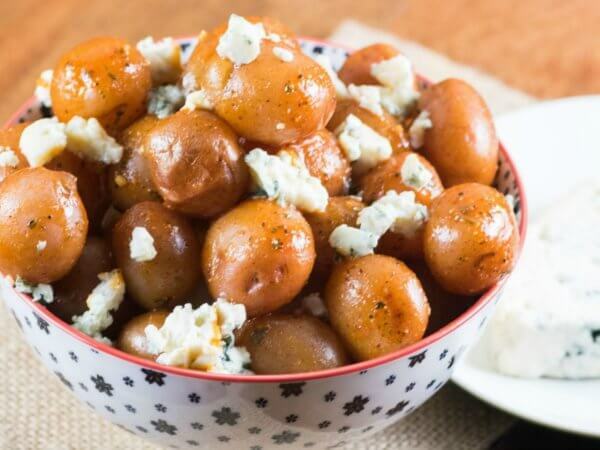 We love us some deliciously grilled Creamer potatoes hot off the barbecue, or roasted to perfection in the oven, but sometimes we don’t have 45 minutes to prepare and cook them. Fortunately, the microwave is a marvel of human technology that can allow us to enjoy deliciously steamed potatoes in a matter of minutes! Consider this your Microwave 101 crash course. The big question around microwave cooking is usually a question of whether or not it’s safe and good for you. In general, longer cooking methods also mean higher chances of nutrient loss when cooking produce. Because microwaving can sometimes significantly lower the cooking time (five minutes instead of the 15 it would take to boil for veggies like Creamer potatoes) it can help to preserve nutrients as well as flavor! Compared to a cooking method like boiling potatoes, using less water will help prevent nutrient and often color loss. Ever boil veggies like broccoli and wonder why it ends up coming out all soggy, dull looking, and bland? All the delicious vitamins and flavors end up in the swampy-looking water in your pot. Microwaving steams the veggies from the inside-out, helping them retain their vibrant colors. Cooking veggies safely in the microwave comes down to the kind of container you use to cook them in, and what you use as a cover (to prevent you having to clean-up an impromptu splatter paint masterpiece on the inside of your microwave). One thing to avoid is generic plastic wrap and plastic storage or grocery bags—they might melt onto your food, and ain’t nobody got time for that. Not to be confused with packaging specifically designed to help your veggies steam quickly and safely in the microwave, we’re talking plastic like what you would find in the produce section of the grocery store. Tip: Look for packaging that says ‘microwave-safe’ or ‘BPA-free’ when you’re searching for containers that are safe you to steam your potatoes and other veggies in. Okay we’ve all been there, you’re way past ‘hangry’ and you need to get food on the table now or else you might just eat last night’s potato chowder leftovers cold from the fridge. You put your bowl in the microwave, do some button mashing, and impatiently pace as the timer counts down much too slowly and it doesn’t even occur to you that you forgot to put a lid on it until you hear a faint sizzling sound, open the door, and —chowder everywhere. Combine everything in a microwave-safe container (a glass or ceramic bowl will work), and turn the power on high for a few minutes until the window is nice and steamy, then let it sit for five minutes to cool down. Open the door, wipe it all down with a sponge, and there you have it. No more chowder splatter paint. Par-cooking is a simple kitchen hack to help reduce your oven roasting or grilling time when you’re in a hurry. While your oven or grill heats up, take your favorite varietal of Little potatoes and place them in a microwave-safe dish. Cook the Creamer potatoes on high for about three to five minutes (times might vary depending on your microwave). You’ll be able to tell if they’re done when you’re able to cut through the potato with little resistance, but without accidentally mashing the potato. Be careful when handling them right out of the microwave—they will be hot Little potatoes! Try out different combinations to see what you like best! Just add your oil (or melted butter, yum) herbs, spices, and seasonings into the sealable container and shake ‘em up to thoroughly coat. Cook’s Tip: Be sure all the Creamer potatoes are approximately the same size for even cooking. If sizes vary or you wish to cook more than a 1.5 lbs bag, then cook in batches. You Need: 12 to 16 cup microwave-safe bowl with lid, spoon, and a sharp knife. Stir in butter or margarine. You can also add chives or chopped green onion, if desired. 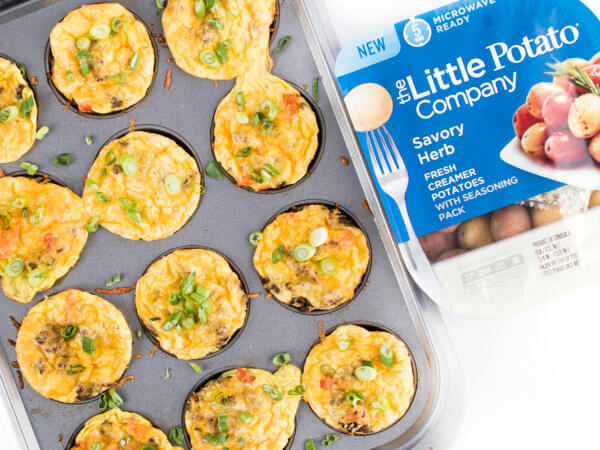 If you’re real short on time, or you just want an easy grab-and-go option, you can always pop one of our convenient Microwave Ready trays into your microwave and have fresh Creamer potatoes in just five minutes. Because you don’t need to wash or peel them before cooking, they’re a great option for getting freshly steamed potatoes with aromatic seasonings on your table, fast. The easy-to-peel steam tray is BPA-free (including the film you use to cover the tray) so you can safely cook your potatoes right inside the tray. And unlike russet potatoes, you don’t need to prick them with a fork before cooking! 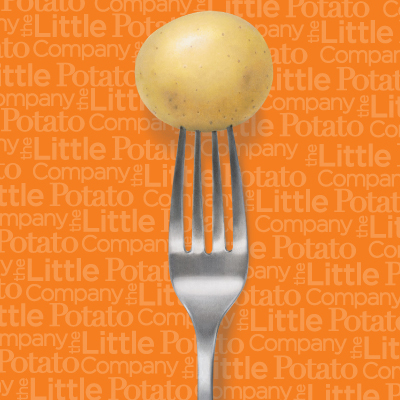 Our Microwave Ready Little Potatoes come in three flavors, with no artificial colors or flavors (all vegan and gluten-free too!). They’re perfectly delicious on their own as a side dish, but we also love adding them into dishes for ultra convenient full meal deals. A tantalizing blend of savory herbs and spices. Try them in this recipe for Cheesy Egg Cups with Sausage, Peppers, and Potatoes. Prep this the night before for an easy grab-and-go breakfast for busy mornings! An exciting blend of leafed parsley, sweet garlic, and hand-picked herbs. Mix them up with hot sauce and blue cheese to make these Buffalo Wing Little Potatoes—perfect for a quick snack, or last minute appetizer! A lively fusion of succulent tomatoes, sweet basil, and fragrant spices. 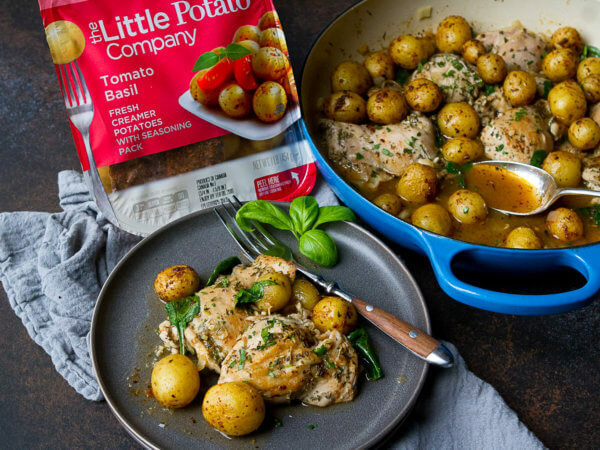 Pair them with a tender chicken thighs in this Braised One-Pot Chicken and Potatoes dinner for a no-fuss weeknight meal.